Also known as hyperglycemia, high blood sugar refers to a condition in which a patient experiences rapid increase in the level of glucose found in the blood plasma. To identify if the condition is chronic or acute, patients should know the minor as well as major high blood sugar symptoms. In addition to these, it is also beneficial to have ideas about the different diagnostic tests performed by physicians to determine the underlying cause of hyperglycemia. Above all, patients should know the various treatment options available. The early high blood sugar symptoms include fatigue, weight loss and dry mouth. Aside from these, patients suffering from this disorder can also experience major symptoms like frequent and prolonged hunger, frequent and excessive thirst as well as frequent urination. Other signs associated with this condition are blurred vision, poor wound healing, impotence, itchy and dry skin, groin rash, vaginal yeast infections, stupor and cardiac arrhythmia. Above all, patients can experience rapid and deep breathing also known to medical professionals as Kussmaul hyperventilation. 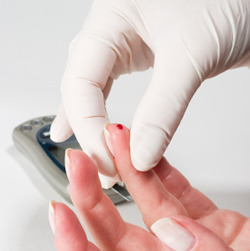 To confirm if a person is suffering from this disorder, physicians usually perform blood tests in which health professionals evaluate the level of blood sugar during an episode of hyperglycemia and several hours after the condition manifests. Children with this health condition have non-fasting serum glucose of above 200 mg/dl. 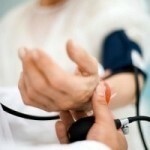 Aside from the level of blood sugar, patients the electrolytes level of patients are also examined. In addition to electrolytes level, some physicians also recommend patients to let medical technologists examine serum osmolality, pH and carbon dioxide levels in blood. To treat the disorder, patients who are suffering from chronic hyperglycemia are commonly recommended by physicians to undergo intravenous insulin treatments. In addition to insulin, the administration of intravenous salts and liquids is also recommended to restore electrolyte levels in the blood. Patients who have the disorder and who suffer from chronic diseases like cerebral edema are advised to take medicines that contain mannitol. This organic compound is very helpful in eliminating major symptoms of high blood sugar such as seizures, irregular heartbeat, difficult breathing as well as severe headache. To ensure the safety of children with hyperglycemia, pediatricians recommend them to be admitted in intensive care units so that their condition can be monitored by health professionals regularly. When it comes to alternative treatments, patients can take chromium picolinate to enhance glucose metabolism and to stabilize the levels of glucose in the blood.